Available now in our Bend (OR), Charlotte (NC), Latham (NY), and Dallas (TX) datacenter locations. Available now in our Dallas (TX) datacenter location. Starting at $89 / mo! DDoS Protection included at our Dallas datacenter. Floor space in Charlotte NC, Latham NY, Dallas TX and Bend OR. Additional datacenter options in Los Angeles (CA), Monticello (IA), and Las Vegas (NV). Outstanding connections to the United States, Asia/Pacific and Europe. Premium Tier 3 and Tier 4 datacenters serve customers around the world with secured facilities offering multi-homed bandwidth and N+2 redundancy. 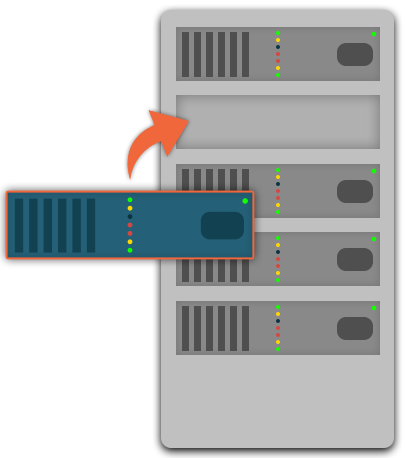 No one does hosting better or gives you a greater value than Tier.Net. Clients around the world enjoy fast and reliable hosting services thanks to secured datacenters, our modern and redundant network infrastructure, and our team of certified technicians. You can count on us too! Select from our feature-packed and competitively priced Dedicated, VPS, Shared, Reseller, and Colocation Hosting plans, all backed by industry-leading 24/7/365 support. Select from self or fully managed servers for the absolute best performance and reliability. 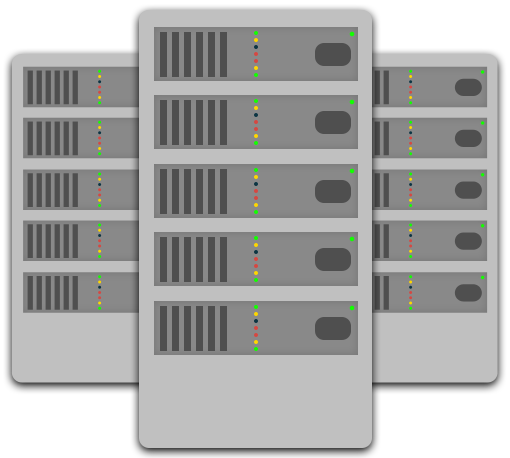 We provide completely customizable solutions with multiple datacenter location options. Fully Managed Virtual Private Servers featuring SolusVM™ or OnApp™ control panels give you great performance while keeping administration easy as can be! Business class hosting ideal for individuals or businesses of any size. Blazing fast speeds, 100% uptime and 24/7/365 human support mean you stay online and your clients stay happy. Colo you can rely on! Our monitored, redundant and secure networks and facilities ensure outstanding reliability. Add server management and you can kick back and relax! We offer many income generating opportunities for web developers, bloggers, IT professionals, and value-added resellers! DDoS mitigation, consulting, external server management, security, robust technical support and monitoring. We do it all and much more! Why is Tier.Net the best choice? The secret to our success is simple: we value our customer relationships! At Tier.Net, we recognize that there are thousands of hosting providers. We appreciate that our customers have not only chosen us, but have entrusted us with keeping their data secure and their business operations running smoothly. We take this responsibility, and your continued satisfaction, very seriously. In addition to constantly working behind the scenes to ensure our networks are working at peak performance, our support team is available 24/7/365, whenever you need assistance. No risk! We stand behind all of our products, offering 30-day money back and price-freeze guarantees. Cutting edge technology, continually monitored facilities, and highly trained expert staff. Uptime isn’t only our mission, it’s our business! Not only was Tier.Net formed in the early 1990s, but our management team and senior administrators have over 30 years of industry experience! Our state-of-the-art dedicated server hardware is strategically located in modern facilities to meet the highest standards! We can build anything you need! Our experts review your needs and provide state-of-the-art and competitive solutions. Shared, reseller, and managed server packages include 24/7/365 proactive monitoring with human resolutions to critical problems. Enjoy the most advanced cPanel integrated billing software in the world, included in our reseller packages. Tier.Net is partnered with cPanel/WHM. That means simple and quick website and email administration for you! Our sitebuilder makes it easy to design your website with no technical knowledge. Also enjoy Wordpress auto-installers with thousands of available templates! Show your clients you take security seriously! Every Tier.Net hosting package includes SSL certification, providing an encrypted connection. What do clients think of Tier.Net? "Tier.Net has been a blessing to my hosting business. They have lightning support and amazing hardware. I wish I had found them sooner. As a large global game server host, we need new machines fast. Tier.Net set up multiple servers for us in one-go. They continue to come through for us with new systems and fast service, time after time. Many thanks to the great crew at Tier.Net!" "After using another hosting provider for over eight years, we had outgrown their offerings and needed to upgrade. After a lengthy search comparing many different hosting companies, Tier.Net stood out. We needed something that would meet our needs for the next few years and they were able to provide us with a substantial upgrade at an excellent price. I have also found their technical support to be knowledgeable and willing to go the extra mile. I highly recommend Tier.Net!"